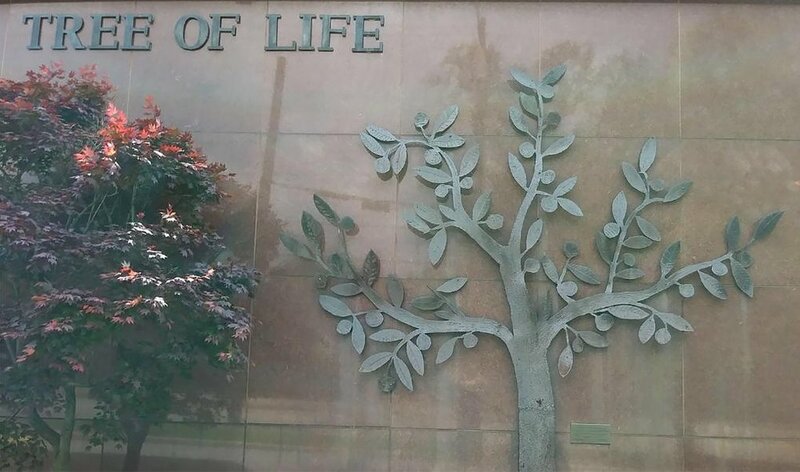 Tree Of Life. That’s the name of the synagogue in Pittsburgh that was attacked a few days ago. The gunman, who apparently had issued numerous anti-semitic statements on the internet entered the synagogue with a semi-automatic rifle and opened fire indiscriminately. He killed eleven people and wounded 6 others, including 4 police officers. Eleven people died simply because they were Jewish. They were worshipping God and bothering no one. The suspect allegedly wrote that he was angry that these Jews were welcoming to refugees. And so in his deranged mind, they didn’t deserve to live. Another week, another mass killing with an assault-style weapon. We must not let this become our norm. We must not allow ourselves to become desensitized to the gun violence. We have had numerous discussions here at our church about security. We have had highly trained law enforcement representatives inspect our building and they have made recommendations about what we might do do heighten our security. We have discussed locking all the doors when worship begins. We’ve discussed hiring an officer to be present during worship hours. Most churches I know of were built with an eye on maximum accessibility. There are doors everywhere in most churches I know. And lots and lots of windows for persons to see into. We didn’t build our buildings with security in mind. It never occurred to our founding mothers and fathers that the church or synagogue would become a “soft target”. We must be diligent when it comes to protecting our people--especially our children. We must do what we can to ensure the safety of anyone who comes to our church. And we will. But we must also lead the conversation as to the causes of such atrocities. That’s not all that happened last week. Another demented individual sent a series of pipe bombs around the country to prominent politicians past and present. Fortunately, none of these devices exploded and no one was hurt. I point to these two events that happened in just one week to ask a question: Has there ever been a time that the church and God and the love of Jesus Christ were more badly needed than now? For a growing number of people in our country and around the world, the church has become irrelevant--just another institution that you can take or leave. I suggest that our culture’s decline is directly related to the church’s decline. And it isn’t too late for all of us as believers to do something about that. For now, our prayers are offered to the victims and their families of Tree of Life synagogue and to all the believers there. May God bless and keep them.